The KOA in Myrtle Beach was perhaps our most disappointing trip to any campground we have ever visited. It was not at all what we expected and I suspect if you know what to expect it may not bother you as much as it did us. In all fairness there are a couple of things worth putting in the plus column. 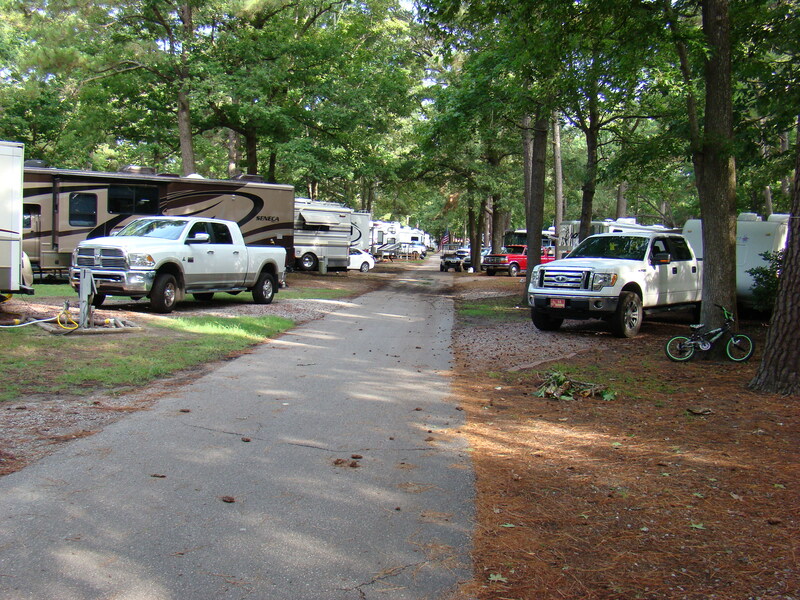 One is the location, it is hands down the best located campground anywhere in the Myrtle Beach or North Myrtle Beach area. It is literally a block behind the beach (no it is not on the beach), but it is right in the heart of Myrtle Beach with so many other things to do within walking distance. 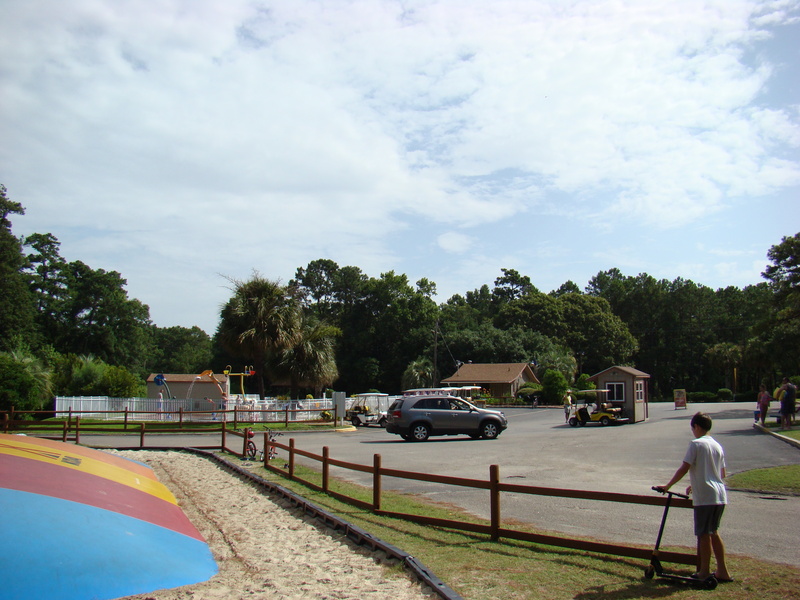 It is an easy walk to the beach or to Family Kingdom Amusement Park. There is also a shuttle that will take you directly to the beach from the campground. You cannot argue that the location is a huge factor in this KOA, it is the main reason why we choose it. Compared to most of the other campgrounds in the area it was also one of the only ones with shade/tree cover. There were a number of problems with the campground itself that may bother some people. the campground is huge, and I mean huge, this in itself is an issue. We felt like we were just another number when we checked in. Walking anywhere in the park is quite a walk, it was almost the same distance from our site to the campground store as it was from the park to the beach. the rows were huge, so big that the Comfort Station was right in the middle of the huge rows which meant all the little kids that really had to go, would either wet themselves walking for 15 minutes to get to a bathroom that they could see 100′ away or they would cut thru your site to get there. the sites themselves were really small, they really pack you in like sardines. the roads are really narrow to drive even a medium size rig down. the pool(s) were surprisingly small for the number of people. If you compared the square footage of pool space to people with any other KOA you would find that the pool was packed tight just like the sites. The people probably bothered us the most. the staff just seemed like it was just a paycheck and they really did not want to be there. In the end it just felt to us like the place where all the drunk fools from Spring Break in Daytona went after they grew up. Now the issues are not likely limited to the one park. Many reviews we read on many other parks in Myrtle Beach has similar reviews. I suspect that it is the town that attracts loud partiers, not just the park. Next time I think I will try North Myrtle Beach, it seemed much more civilized.